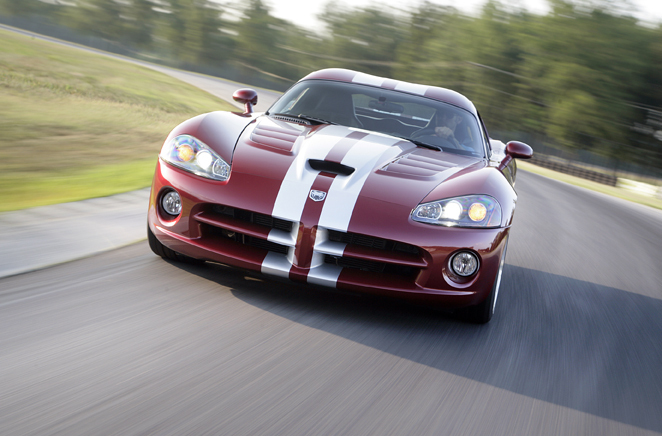 The Dodge Viper underwent a major redesign in 2003, courtesy of DaimlerChrysler's Street and Racing Technology group. 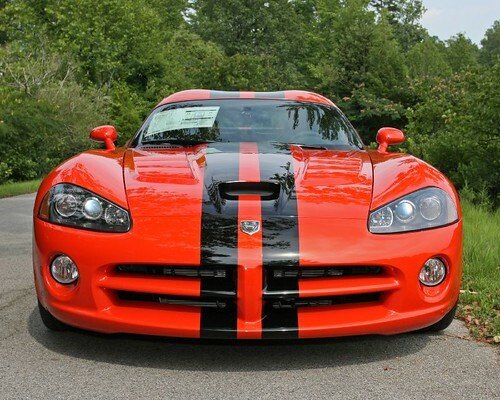 The new Viper SRT-10, which replaced both the GTS and the RT/10 was heavily restyled with sharp, angled bodywork. The engine's displacement was increased to 505 cu in (8.3 L) which, with other upgrades, increased output to 500 bhp (370 kW) and 525 lb·ft (712 N·m). Despite the power increases, engine weight was reduced to about 500 lb (230 kg). The chassis was also improved, becoming more rigid and weighing approximately 80 lb (36 kg) less than the previous model. An even lighter and stronger chassis was planned, but was abandoned because of cost (parts from the planned suspension were used in the Hennessey Viper Venom 1000 Twin Turbo.) The initial model was a convertible. In 2004 Dodge introduced a limited-edition Mamba package; Mamba-edition cars featured black interiors, with red stitching and trim and price increased by about MSRP US$3000. 200 Mambas were produced.